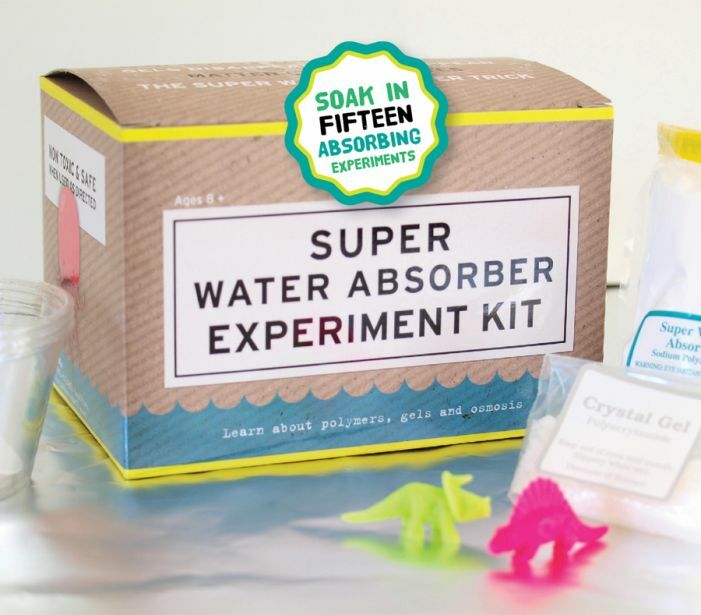 Soak in 15 absorbing experiments. Make super polymer beasts grow hundreds of times their size . Create gels that disappear and re-appear. Make matter change states and now this kit is including the world famous water slurper trick. 6x4x4” box.